All our wooden model ships are finely handcrafted from scratch using the best wood. Decorations and deck details are handmade to the highest detail. It takes hundreds of hours to complete each model, making our sailing model ships highly collectable and timeless pieces of art. All our ship models come fully built and ready for display. 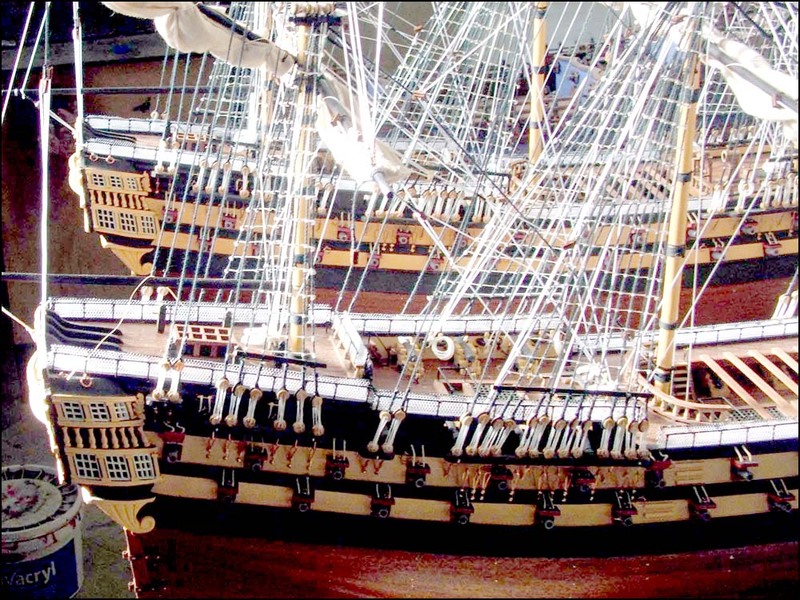 This is a rare classic and highly detailed French historic ship model. A true jewel displaying the highest degree of craftsmanship. La Réale is a unique French gift for French friends or anyone interested in the Frech Navy. A fine wooden handcrafted museum quality ship model of the famous Swedish ship Wasa (Vasa). Decorated with wooden hand carved pieces. This is a beautiful copper pinned wooden plank on frame ship model of the Santa Maria. This Santa Maria model ship is a great gift idea for Spanish friends.